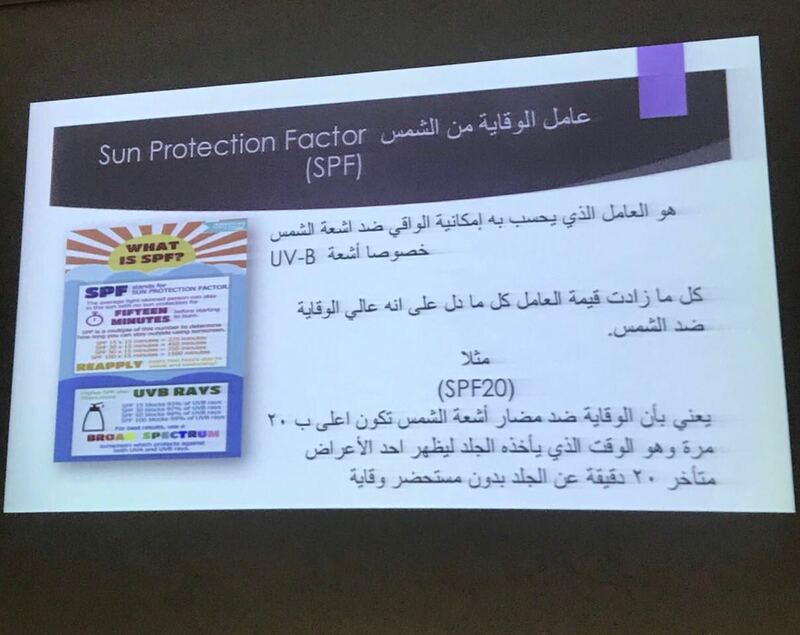 The Community Service Unit at the College of Pharmacy, in cooperation with the health club at the university headquarters in Al-Azizeyah, held an awareness lecture on the types of skin care products for protection from harmful sun rays, delivered by Dr. Najla Bint Abdullah Obaid, Assistant Professor at the Department of Pharmaceutics, on Thursday 22 March 2018. 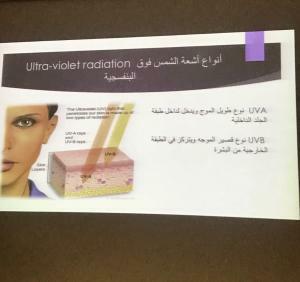 At the beginning of the lecture, Dr. Obaid introduced the different and various kinds of skin care products to protect it against sunlight. 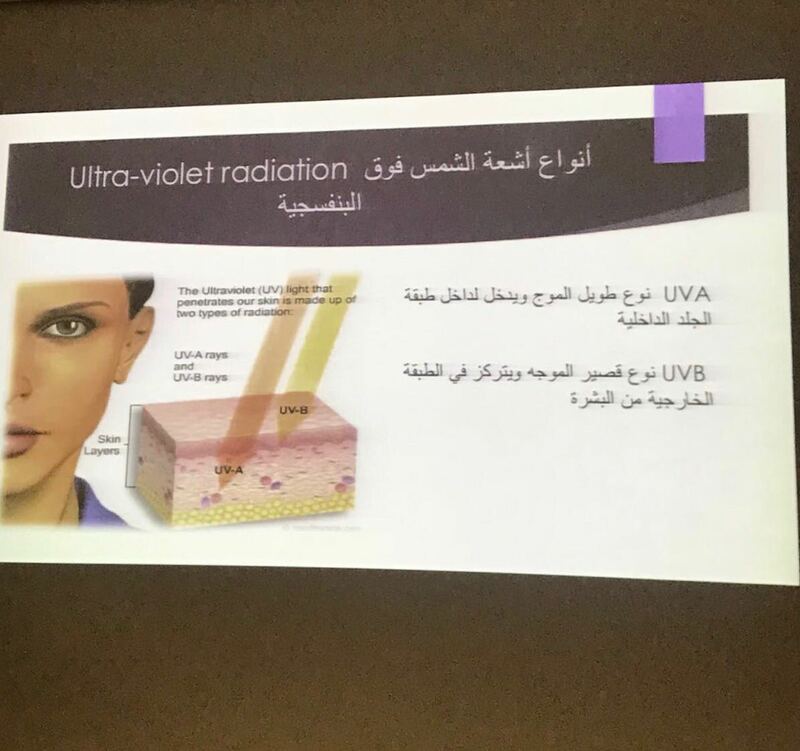 She explained the importance of using these products, and the various forms they come in, as well as the way to use each of them in order to get full protection from harmful sun rays. 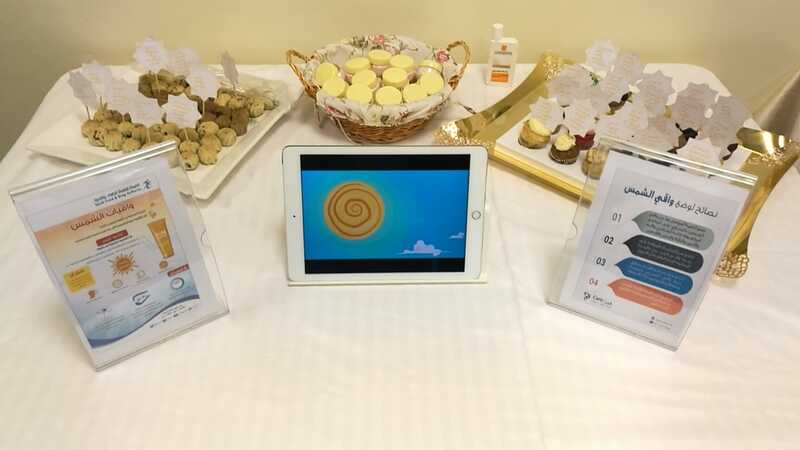 She also explained the most common misinformation about these products, causing the spread of misconceptions, which, in turn, reduces people's use of such products. 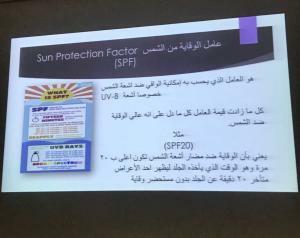 This results in increased exposure to harmful sunlight and long-term risks, including skin cancer. 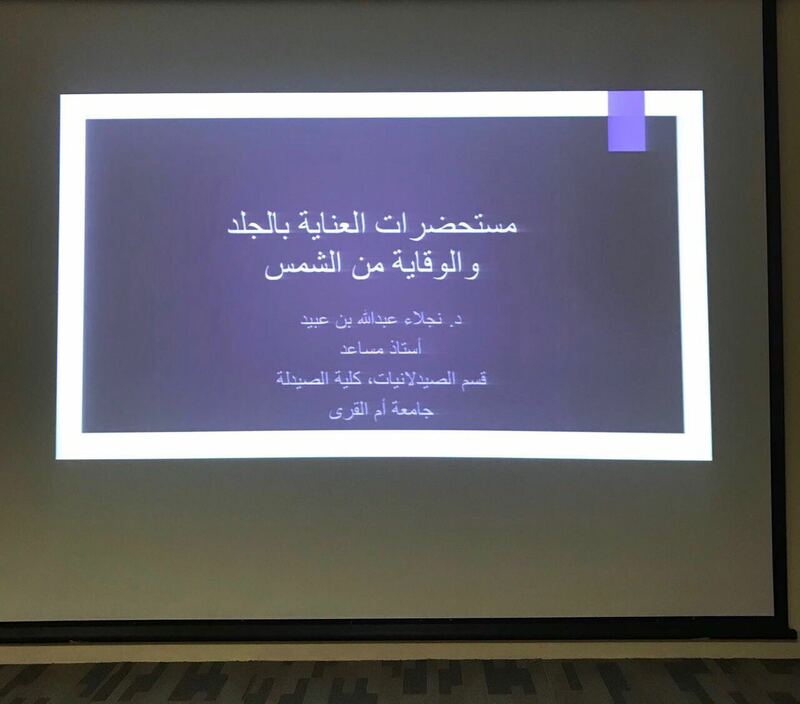 These awareness lectures organized by the College of Pharmacy aim to spread culture and health awareness in the society and develop its capabilities. 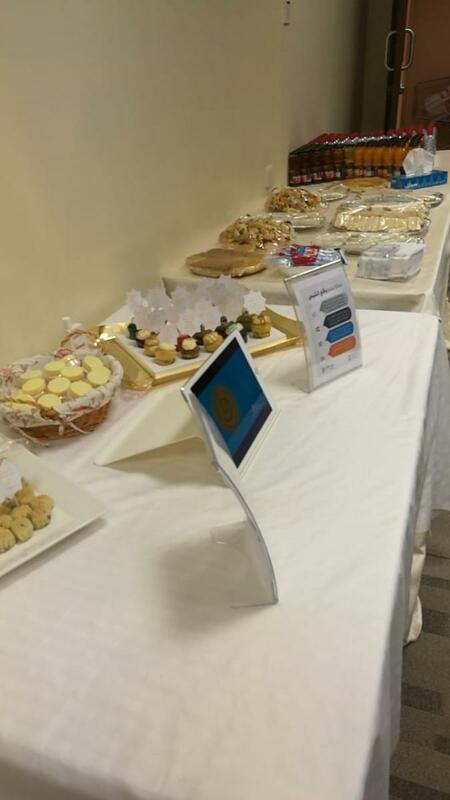 This happens through providing similar educational health programs that work to solve many important issues and problems in the community.